(We all love feeling nostalgia and remembering the times when we were gamers in childhood. To understand the state of gaming now we need to delve into our past to help answer the question of how we got here. Looking at our past should give us information that helps us understand the state of gaming today and may help us predict the future of gaming. Anyone born in the late 80's or early 90's, as I was, is part of a special group of gamers that got to see the transition of gaming from a small niche market to a popular large movement. I, like others in my age group, are part of the "mid gaming generation". That's a new term I'm coining for people that weren't really a part of the earliest past of gaming and are also not children now playing games in the modern era. We didn't play pong, or the Atari, or any of the early generation consoles. We weren't the earliest gamers and nostalgia for us is much harder to attain because most of the games we played are still fairly recent. Today I'm going to give you some of my most nostalgic games and I think we'll realize that the foundation of gaming for my generation seems to have been on the PlayStation and the P.C. Although my earliest console was a Nintendo, it seems that the upgraded game quality given by the PlayStation set those games apart in my mind from the older 8 bit generation. I remember the long hours I'd play this getting stuck on Vega and then finding out that after I beat him I still had a NUMBER of other enemies before getting to the boss. Finally when you get to M. Bison, especially as a kid, you're just in awe at how to beat him. Especially when he jumps on your head from across the screen or submarine torpedoes you with his whole body. Today I don't know if I could play a fighting game as long as I played Street fighter, but that may show how rare a gem this game was when it was released back in the 90's. My favorite characters ended up being Guile and Bison. Street fighter is the spiritual source of the vast majority of fighting games today. To be honest, you don't really need to love basketball to enjoy this game. This game has a winning formula of taking a real world activity and sensationalizing it with gaming. It's a winning formula that works even in today's gaming world. People don't always want the most real simulation of an activity, especially if they can just get a basketball and play the game with friends outside. But a game where you can do amazing impossible dunks, globetrotter like fakes, and amazing rim breaking specials, is a game worth playing and a game that's definitely fun. Nba street may not have been the most famous game of the past but it's a gem worth looking at nonetheless. With movies like The Fast and Furious, NFS underground capitalized on that tuner formula and made the greatest racing game I've ever played. It came with a short, but very interesting story and it let you customize more parts of a car than a kid thought possible. My favorite mode, hands down, was drag racing. It required both timing and skill to know EXACTLY when to shift and missing a shift early on would nearly always result in a loss. The speed, the exhilaration, and the atmosphere as you drag raced or participated in the story of the game made everything feel real and sadly I haven't felt that same level of excitement for a racing game in a long time. Forza may be a realistic game but it lacks all the tuning and fun parts of a racing game and without the fun and over the top sensationalism, it's just a cookie cutter simulation. Forza and other racing games like it might be geared more to professional racers and mechanics while NFS Underground was for the adrenaline rush junkies and those who liked creative customization. This was a game most people probably didn't get a chance to play. Back when games were affordable and there were no review sites, I simply read the outer boxes of games and when I found a game that seemed enjoyable, I bought it. Pharoah was one of these buys and I fell in love with it. I am very much an RTS or real time strategy fan, and Pharoah gave you missions to create a city to your hearts content and make sure the people living in it were happy by giving them the services they needed. If you put the hunters(that went out and got you meat) and grain house too far, people couldn't eat in a timely way and as a result their homes would not evolve. When you clicked on the home it told you EXACTLY what the home needed to upgrade to the next level. Sometimes it was as simple as not having water nearby. There were so many different levels of homes to upgrade to that I've personally never even reached the highest level, which was known as "estates". If i remember correctly the best homes I got my citizens to evolve to were apartments. That was no small feat as it required nearby water, food, bazaars(markets), entertainment, religious homes, doctors, dentists, architects, fireman, and more!! Imagine trying to cram all that in one small area all competing for resources! This game is so creative in how it lets you build to your hearts content that it's a must own for any RTS lover. Sadly it never got as popular as it deserved. But luckily the same engine and game progressed on and the latest installments of this game are Zeus: Master of Olympus and Emperor: Rise of the Middle Kingdom. You may have encountered at least one of the games in the series, even if it wasn't Pharaoh. They're all made by the same studio so gameplay is very similar. Majesty on the other hand became a cult hit. For many years I remember small internet circles buzzing about this game til finally a new studio bought the license to this game and recently produced Majesty 2. Another PC RTS game like Phaorah, Majesty did one thing that no other game has had the courage to do; stop you from moving troops. You could create as many troops as you can afford in majesty but there was no way to actually move them. They moved themselves, protected you when they wanted to, or ran away and let your kingdom down. Majesty only let you entice your heroes with monetary benefits IF and only If they killed an enemy or went to a certain area. Wizards could turn the game around for you, if they decided to pitch in, and although their strength was high, they had very low life, just as the RPG myth indicates and a few hits from a foe could easily kill a wizard. Majesty is a gem that should be shared with all people. Definitely pick it up, or Majesty 2, if you didn't get a chance to enjoy this game. 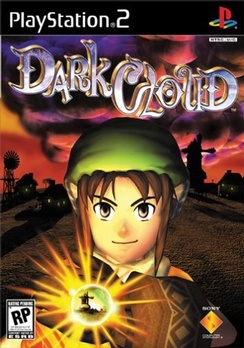 This game was all about adventuring into dark caves for a simple altruistic reason, to rebuild your city that was destroyed. Rebuilding the city is exactly what made this game very unique, as you could place buildings however you wanted but each building asked you to be put in a particular way. Either facing the sun, or near water, or next to a neighbor. This gave you some flexibility and made your city different from others, but generally in order to get a perfect city, you had to fit a particular pattern. The sheer customization of weapons and different areas also made this game a must play RPG adventure unparallelled with many other story games I played. It became an amazing game when you added the catchy story and unique game-play elements, making this an overall great package, especially for the time frame it was released in back in 2000. War was never so fun as it was in Age of Empires. To be honest though it wasn't the fighting that made this game great, but the dramatic buildup to it. That's what made this game exciting. Getting resources, evolving your civilization, and preparing for that war was definitely more fun than the battle itself. Adding in a great story helped as each mission seemed to have meaning. You were building up to something bigger and you had a larger goal. This wasn't an aimless war and you needed to win and build a team formidable enough to take down your opponent. Luckily with Age of Empires 3, the game was polished to perfection, especially since we no longer needed to mine both stone and gold, which got very tiring after a while. This game was leaps and bounds ahead of it's time when it was released on the PC. The first time I evolved my civilization, the mere addiction of doing that, getting new upgrades, troops, and units, had me hooked forever on the Age of Empires series. It's shocking that we're only at number six and Age of Empires didn't even make the top five. Just goes to show how great the top 5 games are on the list. There is both happiness and sadness at the fact that I'm discussing Tony Hawk's Pro Skater. Tony hawk 2 was by far the perfection of the series. It was that sensationalized skateboarding that made this game so fun and launched the franchise. It was amazingly fun to do tricks no person could do in real life, not even Tony Hawk. The levels were well designed and the missions kept you working hard to find every last tape or secret area you could. I became really good at the game and eventually could beat anyone else I ever played on it. The downside though, as I alluded to earlier in the review, is that since Tony Hawk 2 this game has gone downhill. It has become more and more realistic and less and less fun. It lost it's spiritual source and lost the reason for why we played it in the first place. I hope a new Tony Hawk game remembers their roots and goes back to it. It's a good lesson we can take in this article. Other games like Mortal Kombat realized they were heading on the wrong track and similarly went back to their original successes for guidance. It's known as heading back to basics; to what worked and to what sold us on the game in the beginning. Let's remember what worked well in games and not destroy our franchises by removing those fun elements; another important gem we get from looking back at the past. Sandbox games like Fallout and Red Dead redemption get a lot of their inspiration from these two amazingly fun games. The missions are by far what make these games stand out. They were always fun, a bit tricky, and really tied you into the story and made you feel a part of the game. These immersive and open world games were light years ahead of their time with amazing graphics and could be played enjoyably even today. That's saying a lot for a game made nearly 10 years ago. I discovered and bought this game simply because of a commercial and an idea. I tried to find the commercial on youtube but sadly wasn't able to : ( . The basic idea was it showed real people having fun and just hanging out at a home then all of a sudden BOOM the home and the people transformed into Sims and now you were in control of everything from the home to the people to the career. The idea that a PC game could give you THAT much control and look that realistic was mind boggling. The game, when I finally got it, was even more fun than just the idea of it, as the gameplay got you to slowly make your Sims richer and upgrade their items to make them more efficient. Even going to the bathroom could be efficient! I better upgrade my toilet and shower so i can clean myself faster and get to work quicker! I need a better bed so I can sleep less and work more! The Sims launched a franchise and an idea that gaming and gamers could be amazingly creative and that we thrived on the ability to create and have fun with our creations. This is a very similar idea to Minecraft in many respects. Kingdom Hearts is amazing open world fighting(the game doesn't pause for fight sequences), an amazing and compelling story that DRIVES you forward and forces you to keep playing, and includes a special monster like summoning capability that increases the drama and tensions mid battle. Epic is a word I haven't used yet and that's because I rarely use it liberally. This game is Epic. Its battles are Epic, its favorite childhood disney characters are epic, and my God, I have to say it again, Its STORY is EPIC. The whole reason I eventually bought a PS3 was just to be able to play KH3 when it comes out!! If you haven't played the first game of this blockbuster franchise, you've missed out on a very important segment of gaming. You knew this list was probably going to end with a Final Fantasy game as they've become some of the most epic games in recent gaming history. Choosing FF8 over the others will be very controversial as it does go against the majority of people. Then again the majority opinion is statistically not always correct. Remember that people once thought the world was flat. Regardless I want to give my opinion as to why I choose 8 over the others. I own 7 and 9, and I tried to play both. 7 is graphically nowhere near FF8, as 7 looks more cartoonish and polygonal. I also tried to get into the story of 7 but early on I gave up on it. It may be my fault more than the game itself. 9 is graphically fine but I also never really got into the story and it began to bore me pretty quickly. I also did get stuck trying to get the carnival ticket, and that's what lead me to eventually stop playing the game. 10 and the other games are too recent to be considered nostalgic, so they can't be on this list even if they are better than 8/7/9. The GF system, which was a favorite choice of mine, was also scrapped in 9, making 9 loose serious points. Overall though this isn't about which Final Fantasy game you choose to be number one but the fact that most people's most nostalgic games seem to be topped by Final Fantasy, regardless of which installment they preferred. Final Fantasy 8 is very compelling, heart breaking in a lot of ways, and uplifting in others. The same can be probably be said about the other Final Fantasy games that have a very nice and fast paced gameplay. If you don't attack quickly or decide what to do, the enemy will attack you. They will not stop and wait for you to decide what to do. The story is what gets you though. It's always what gets you. There are always amazing characters at the heart of some problem that threatens the existence of the world. Through lots of grinding and training, you really feel as if you're honing your skills and getting closer and closer to that last boss battle that will test you in every way it can. Final Fantasy doesn't pull any punches. It makes you work for that final win. Many people have worked to play the whole game, giving up on the last boss. Final Fantasy won't hold your hand. If you want that ending, and you want that satisfaction of beating the game, you have to work hard to do it. There is no easy ending or easy win. It's a game I'm currently streaming now over at: http://www.justin.tv/immortalphoenix and uploading to my youtube channel: http://www.youtube.com/user/TheeImmortalPhoenix. Playing it has given me a taste of nostalgic gaming; a feeling i haven't felt in a long time. Final Fantasy can have a whole article written just about it, but suffice it to say, it's an incredible journey with an amazing story, a fast paced nail biter, that increases in drama and tension as you continue to play it. You can't call yourself gamer, or even a casual gamer, if you haven't played at least one Final Fantasy game. If you're a "Mid" gamer generation like me, some of these game will be sure to give you that nostalgic feeling that'll make you remember the good ole days of the past. Enjoy the list, feel free to disagree with it (as we all have different tastes), and comment below your own favorite games of the 1998-2003 era; which was the Mid Gamer generation's childhood years. o:! i like the games you picked! I would never be able to narrow them down to such a small list. There are just so many great ones. Bạn đang có nhu cầu tìm thi công nội thấtđể thực hiện thiết kế hay thi công văn phòng công ty của mình. Nhưng chưa tìm được công ty thiết kế nội thất văn phòng đẹp ưng ý theo yêu cầu của mình. Thì hãy liên hệ với chúng tôi công ty Azdecor chuyên thiết kế thi công nội thất văn phòng và nhà ở. Với đôi ngũ nhân viên chuyên nghiệp có nhiều năm kinh nghiệm trong ngành. Chúng tối tư vấn quý khách từ a đến z về cách lựa chọn bày đặt hướng bàn làm việcđể tạo nhiều tài lộc giúp việc làm ăn thuận lợi cũng là không gian làm việc thoải mái cho nhân viên công ty. Chúng tôi hy vọng sẽ giúp bạn giải quyết các vấn đề lo ngại đấy.